Wednesday night, Next invited their favourite Beauty Bloggers to The Hempel Hotel in London to showcase the new ranges for the season ahead! Complete with manicure, massage and eyebrow stations... not to mention beautiful Christmas lights and a wonderful floral aroma - it was certainly a night to remember. Joining Next’s wildly popular range of exclusive fragrances this season, is an exciting new launch. CITY COLLECTION offers a quartet of distinctive scents in eau de parfum, pampering body crèmes and indulgent home fragrance formulations – each evoking one of the world’s great fashion centres. MILAN captures the aura of that fast-paced and furiously stylish Italian city. 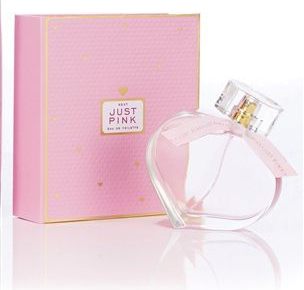 Top notes of melon and green apple give way to a heart of magnolia and violet and a lingering woody base. Confident yet feminine, this fragrance has a super-chic modern edge. LONDON has lychee and citrus top notes, a heart of rose and peony evolving to a powdery musk and cedarwood base. This intriguingly eclectic aroma reflects the British capital’s renown for individuality and creativity. The essence of cosmopolitan uptown NEW YORK is represented by a radiant and captivating white floral, featuring tuberose and gardenia with elegant jasmine and sun-kissed orange blossom. PARIS, the home of haute-couture, is perfectly portrayed by an exotic floral bouquet of orchid, jasmine, ylang-ylang and orange blossom, with a base of musk and warm amber. It’s sensationally sensual and unapologetically decadent. Each of these captivating new fragrances is available in a 50-hour candle (£9) and a 4-reed diffuser set (£18), as well as eau de parfum (from £8) and body crème (£8). City Collection complements Next’s line-up of established favourites, including JUSTPINK, a beguilingly romantic green floral featuring soft fruits and pink blooms, with its spin-off colour cosmetics range of eye palettes, lip glosses and balms. CASHMERE and GOLD fragrances also now have complementary colour cosmetics, including glamorous but fabulously affordable make-up palettes and nail colour combos starting from as little as £6. There’s a smart new look to Next’s main cosmetics range too. Key buys include Get-the-Look palettes for £4, or the set of 5 on-trend nail colours for just £3. And, to stow away all these lovely new beauty products, Next is the place to find gorgeous make-up bags from only £3.50. What’s not to love about the new beauty collections at Next? I love all these products as I work for Next myself here in Lancashire, such a wonderful company. This product I own myself and have always been a fan of this perfume, it has such a sweet scent that can be worn everyday. £10 for 75ml. The Just Pink Collection link to all the products. These products make perfect Christmas presents and are super cute and such amazing quality for your money. From this range I would love this LINK defiantly adding this to my wish list for Christmas. A soft and sensuous fragrance combining beautiful florals and delicate powdery musks. LINK to the whole collection as you would love all of it if you love this perfume. It is coming up to my mom's birthday this would be perfect as she loves the products Next sell. The packaging I adore on these products. 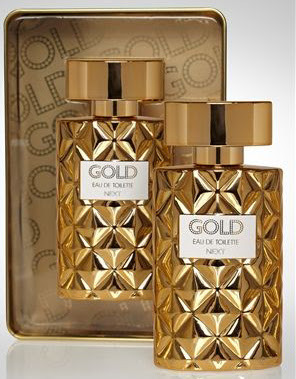 A dazzling fragrance with golden flower nectars, gloriously sweet vanilla and molten amber. With keepsake tin. The packaging and colour of these products are perfect to buy and have for any time of the year. 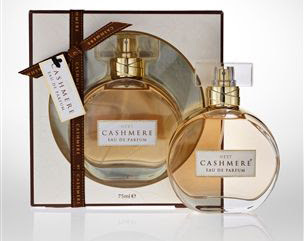 Perfumes such as Paco Robanne, Jimmy Choo and many more. For all of you girls that struggle to find something to buy your boyfriends, this would be the perfect gifts- LINK Really good prices and quality and perfect presents for this year. I know I will be getting some of these products as my boyfriend is super fussy and he would love these. NEXT celebrates Christmas 2012 with glimmer and shimmer and a nod to heritage, plus its own clever take on all that’s new and noteworthy. From head turning eveningwear to cosy PJs, perfect presents to personal indulgences, NEXT has something for everyone! BEAUTY: NEXT’s new boutique inspired collection is the must-give of the festive season, with every pampering treat from body lotions and bath bombs to candles and cute cosmetics bags – all in irresistible vintage-look packaging. Guys are bound to love the moustache shaving set. And all NEXT’s favourite fragrances are available in great value gift-sets. WOMEN: The party season? NEXT makes a compelling pattern play in winter floral's, lace and lavish embellishment. The key mood is gothic and the colour to court is purple. Faux furs, spectacular earrings, studded clutches plus bejewelled printed shoes give any woman her very own red carpet moment. For country house weekends the prints to prize are heritage inspired geometrics in everything from pretty blouses to key trousers looks, while chill-beating coats and knits have a military swagger. MEN: Guys will look good on any dancefloor in NEXT’s velvet jackets with floral or paisley patterned shirts. Or they can choose between contrast detailed tonic tailoring and NEXT’s latest take on the classic tux. Between times they can play country gent in elbow-patched tweeds, checked shirts and woollen ties – to which brogues add the perfect footnote. CHILDREN: It’s all about the big blue – as boys and girls of all ages work shades from cobalt to navy with splashes of seasonal red (of course!) plus rich honey and chestnut tones. Think practical all-weather, all-terrain layers; mix quilts, plaids, bold stripes, and retro fairisle patterns. Older boys riff a boy-band-look with on-trend shapes in jackets, trousers and skinny-fit jersey tops or shirts colour-blocked in shades of teal and mulberry. Girls have their own take on the super-luxe metallics trend, with richly embellished party looks in old gold and tarnished bronze. HOME: Lush metallic effects, silvered glass and faux fur glamourise the subtle grey-taupe colour palette of NEXT HOME’s Rough Luxe theme –played out in furnishings, accessories and seasonal décor. In heart-warming shades of red and pink, Christmas Comforts channels inspiration from craft traditions such as cross-stitch, hand-knitting and patchwork for quirky home accessories, charming tree trims and cute gift ideas. Modern Green delivers a sophisticated midwinter’s tale in lime, white and shimmering silver, with snowflake motifs and frost effects, while Chinoise Christmas works such eastern exoticism as blossom prints and wirework birdcages in tones of turquoise and teal. Indulge your friends, spoil your family, and treat yourself. For, thanks to NEXT, everyone will be saying Merry Christmas this year in glimmering, shimmering style. *Thank you to Gemma for this email. Will you be buying any of these products for a wonderful Christmas?